For other uses, see Qadesh (disambiguation). 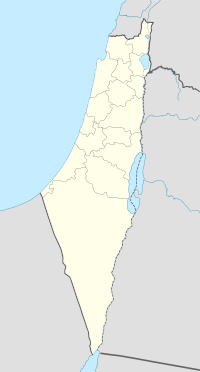 Qadas (also Cadasa; Arabic: قدس‎) was a Palestinian village located 17 kilometers northeast of Safad that was depopulated during the 1948 Arab-Israeli war. One of seven Shia Muslim villages, called Metawalis, that fell within the boundaries of British Mandate Palestine, Qadas lay adjacent to al-Nabi Yusha', near the tel of the Biblical city of Kedesh Naftali. The village of Qadas contained many natural springs which served as the village water supply and a Roman temple dating back to the 2nd century AD. Cadasa is mentioned in the Bible as being a Tyrian city that was sacked by the Jews in their revolt against the Roman empire. Under Israelite rule, it was known as Kadesh Naphthali. Qadas was a small town on the slope of the mountain. It is "full of good things". Jabal Amilah is the district which is in its neighborhood. The town possesses three springs from which the people drink, and they have a bath below the city. The mosque is in the market, and in its court is a palm tree. The climate of this place is very hot. Near Qadas is the (Hulah) Lake. In 1517, Qadas was incorporated into the Ottoman Empire after it was captured from the Mamluks, and by 1596, it was under the administration of the nahiya ("subdistrict") of Tibnin, under Sanjak Safad. It paid taxes on wheat, barley, olives, cotton, orchards, beehives, and goats, as well as a press that processed either grapes or olives. Victor Guérin visited in 1875, and described the most important ruins there. In 1881, the Palestine Exploration Fund's Survey of Western Palestine (SWP), Qadas was described as a stone-built village, situated on a spur of a ridge. The population, which was estimated to be between 100 and 300, cultivated fig and olive trees. SWP also noted that the "Metawali" from Qadas went to nearby Al-Nabi Yusha' to venerate the name of Joshua. Qadas was a part of the French-controlled Lebanon until 1923, when the British Mandate of Palestine's borders were delineated to include it. Rainfall and the abundance of springs allowed the village to develop a prosperous agricultural economy based on grain, fruit, and olives. 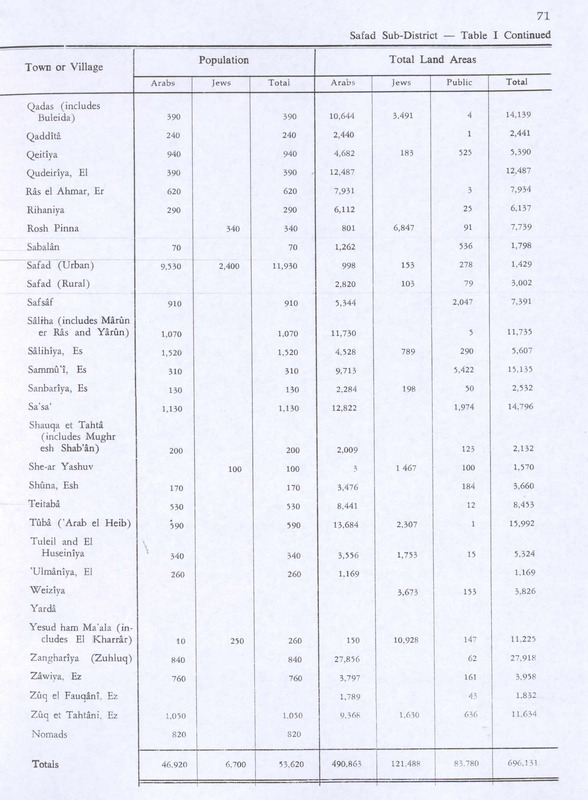 In the 1931 census of Palestine, conducted by the British Mandate authorities, Qadas had a population of 273; 1 Christian and 272 Muslims, in a total of 56 houses. 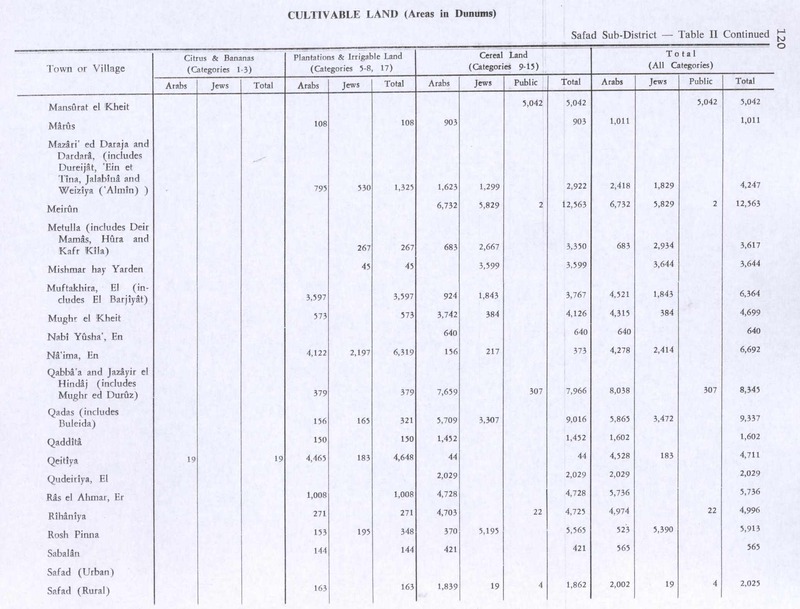 In the 1945 statistics the village had a total of 5,709 dunums of land allotted to cereals, while 156 dunums were irrigated or used for orchards. Qadas was occupied by Israeli forces during Operation Yiftach on 28 May 1948. Defended by the Arab Liberation Army and the Lebanese army, its inhabitants fled under the influence of the fall of, or exodus from, neighbouring towns. In June, 1948, kibbutz Manara requested land from the newly depopulated village of Qadas, as it was "suitable for winter crops." The settlement of Yiftach was built in 1948 to the northeast of the village site on lands belonging to Qadas. The village land is also used by the settlements of Malkiyya, founded in 1949, and Ramot Naftali, established in 1945. "Stones from the destroyed houses are strewn over the fenced-in site, and a few partially destroyed walls near the spring are visible. The flat portions of the surrounding lands are planted with apple trees; the spring provides drinking water for cattle. Hassan Nasrallah, the secretary-general of Hezbollah, has publicly recalled on occasion the fate of Qadas and the other Metawali villages in his references to the 1948 annexation of several Lebanese villages, the expulsion of their residents, the expropriation of their property and the destruction of their homes. The Lebanese government demands the return of the village. ^ a b "Welcome to Qadas". Palestine Remembered. Retrieved 2007-12-03. ^ a b c Danny Rubinstein (2006-08-06). "The Seven Lost Villages". Haaretz. Archived from the original on October 1, 2007. ^ Al-Ya'qubi quoted in le Strange, 1890, p.467. ^ Al-Ya'qubi quoted in le Strange, 1890, p.39. ^ a b Khalidi, 1992, p.484. ^ a b Khalidi, 1992, p.485. ^ "Lebanon to restore seven villages annexed by the French mandate to Palestine". Arabicnews.com. December 23, 1999. Archived from the original on February 25, 2012. ^ "A Lebanese border town removed by Israel to be rebuilt by its citizens". Arabicnews.com. May 25, 2001. Archived from the original on February 25, 2012. Guérin, V. (1880). Description Géographique Historique et Archéologique de la Palestine (in French). 3: Galilee, pt. 2. Paris: L'Imprimerie Nationale. This page was last edited on 22 March 2019, at 00:39 (UTC).